This once dark and closed off space was large, but certainly not inviting. Though we were unable to change the actual firebox, we were able to updage the fireplace surround with river rock from a stream in the back yard, and add accent lighting, as well as a large step up to a private mountain sports bar and into the kitchen and dining spaces. 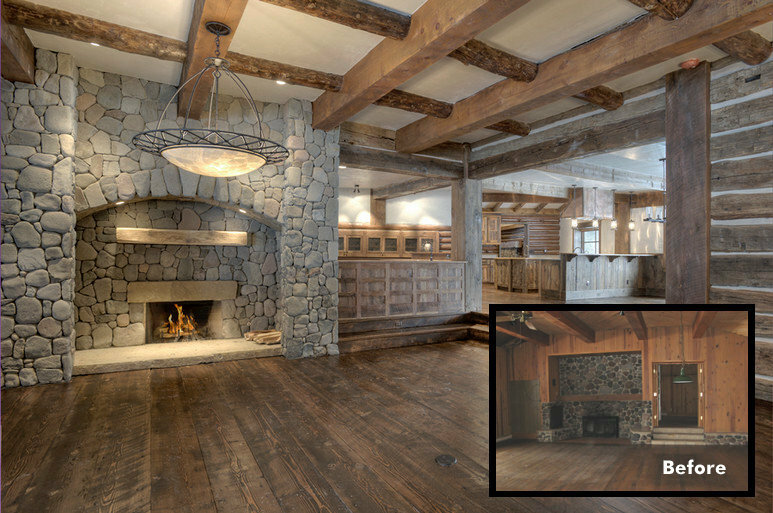 The lattice timbers in a distressed finish add a mountain flare yet the drywall keeps the space light and airy.